I had to drop the Idler arm bracket to get the pan off the 216 motor in the 51 Chevy. I was having trouble locating the bolts under the few inches of crud. I posted pics on chevytalk.com. Someone there noticed my idler arm had an add on component added sometime to take the slack out of the steering. Turns out there were a few makers of these parts to jerry rig the steering without having to rebuild the idler arm. I am ordering the kit to rebuild the idler arm myself. I may have to get it machined but otherwise I will be doing it. Wish me luck. Feels good to be making repairs that should have been done long ago. 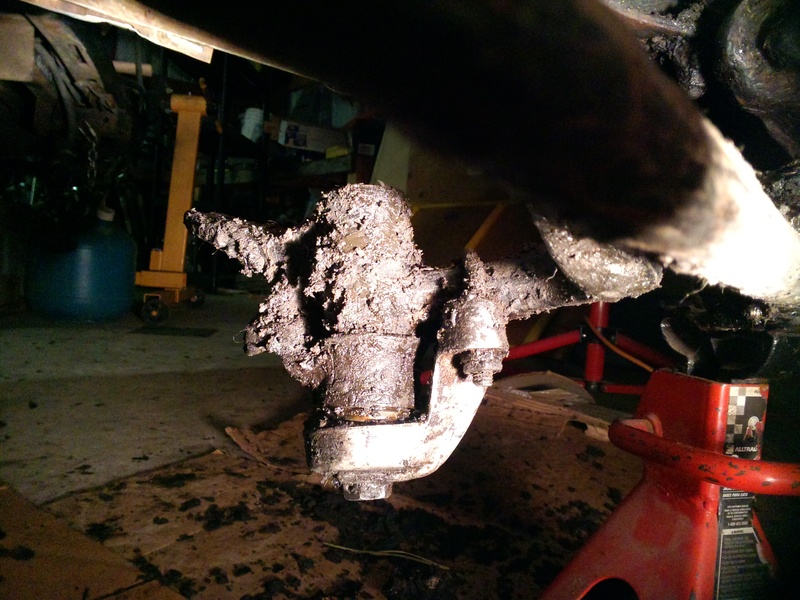 It does look like this add-on did it’s job….there is no slack in the steering. I spent today cleaning crud. It finally is starting to look like a frontend.